We are in the Bitcoin era. We are also in the bot era. Coinapult has announced a service that brings the two together. Now, if you are on Telegram, a chat application that has close to 100 million users, you can send and receive bitcoin with the help of a bot. This has come at the time when Bitcoin (or the blockchain) and bots are the talks of town- if I may. Indeed, anyone who follows closely tech trends would agree that the two technologies appear set to alter the most the way we do things in the foreseeable future. What they have in common starts with the fact that both are responding to the need created by us moving much of what our lives are on the internet. We socialize on the internet, we work on the internet, we shop on the internet… Indeed, we pretty much do everything on the internet now. And while we do these things, we need better facilitators than what was there for the offline interactions. Bitcoin and bots are the better facilitators. After several years of being on the periphery, the blockchain, the distributed public ledger on which bitcoin transactions are recorded, is now at the center of major projects that are being undertaken by mainstream financial institutions and technology companies. Hyperledger, a project spearheaded by Linux Foundation and supported by over 40 major companies, which includes the likes of IBM and JPMorgan, seeks to build an open source Blockchain platform on which enterprises will improve their processes. Likewise over 40 commercial banks have formed R3Cev, a consortium to help them harness the opportunities that the Blockchain presents. This is beside the individual Blockchain investments and other forms of engagements companies like JPMorgan Chase, Goldman Sachs, IBM and Microsoft are into. Even more interesting, there is continued growth in the number of Bitcoin transaction carried out every passing day, which in essence means that more and more people are adopting the cryptocurrency. The Bitcoin block size scaling debate is an evidence of this growth. On the other hand, if you have been following tech news closely in the recent past, you are highly likely to have noted that bots are becoming a common item. It appears that there is a renewed effort from developers and technology companies to develop smart applications that can intelligently converse with humans. The end game is to have the bots that can supply information to humans as well as help them do various tasks on the internet. As a matter of fact, in a recent article, the Economist has disclosed that major tech companies like Google, Facebook and Uber are spending quite a fortune in acquiring young talent from colleges that will help them grow their Artificial Intelligent (AI) capabilities in order to develop even more intelligent bots. Facebook is expected to release chatbots on its Messenger app. Through this new service, business will reach out, provide information and offer various services to their clients using bots. There is even talk of customers being able to do things like reserving tables in restaurants using the bots. This is not the very first time Bitcoin, and bots are meeting, though. 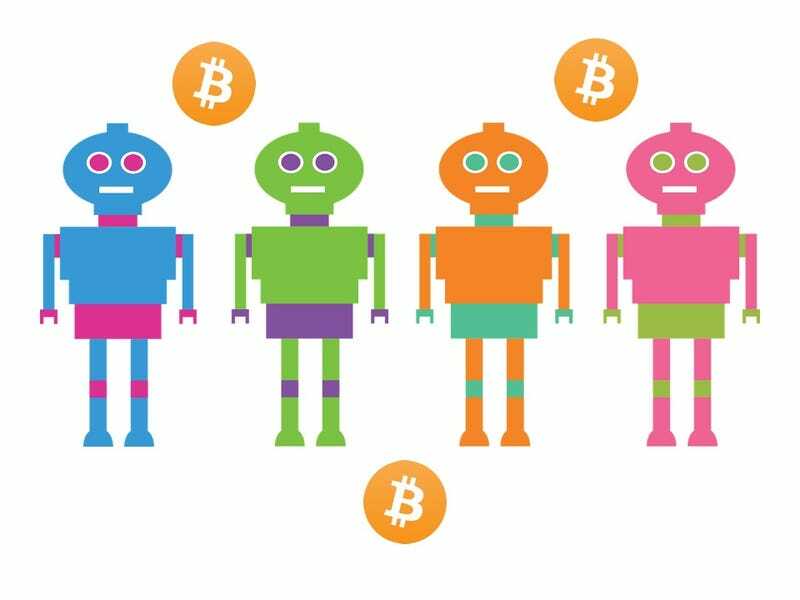 Since Bitcoin is traded online through exchanges and trading platform, bots communicating directly with markets to buy and sell at predetermined prices is nothing new. Even so, using bots to send and receive bitcoins is new. This could be just the beginning of bots and blockchain working together to provide remarkable experiences.